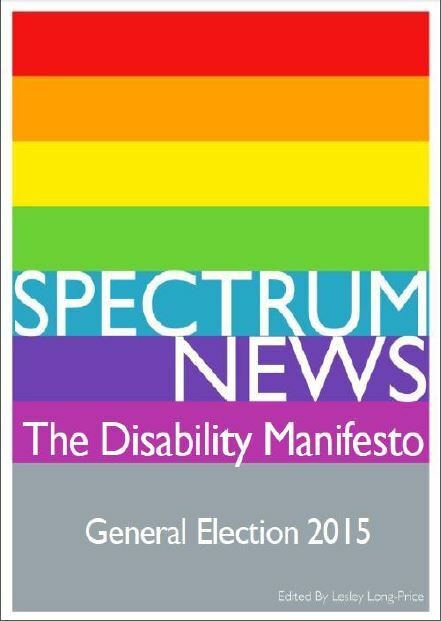 In the lead up to this year’s General Election on 7th May, SPECTRUM has been working with our sister organisations across the South East of the UK to develop a Manifesto focused on the needs and aspirations of Disabled People. We hope this Disability Manifesto will help you to understand the issues that are important to Disabled People; and we hope it will enable you to talk to your prospective MP’s and Local Councillors on the issues that we feel are important to Disabled People in the lead up to the General Election. We are also circulating the Disability Manifesto to local MP’s prospective candidates, and Local Councillors to encourage them to consider the issues and needs of Disabled People now and in the future. We hope you find the Disability Manifesto interesting and informative.